Man, this place has been dead lately… Not much happening in my world lately. Still been super busy with work, waiting on car parts, waiting for nice weather… It’s pretty much been a big bore around here. 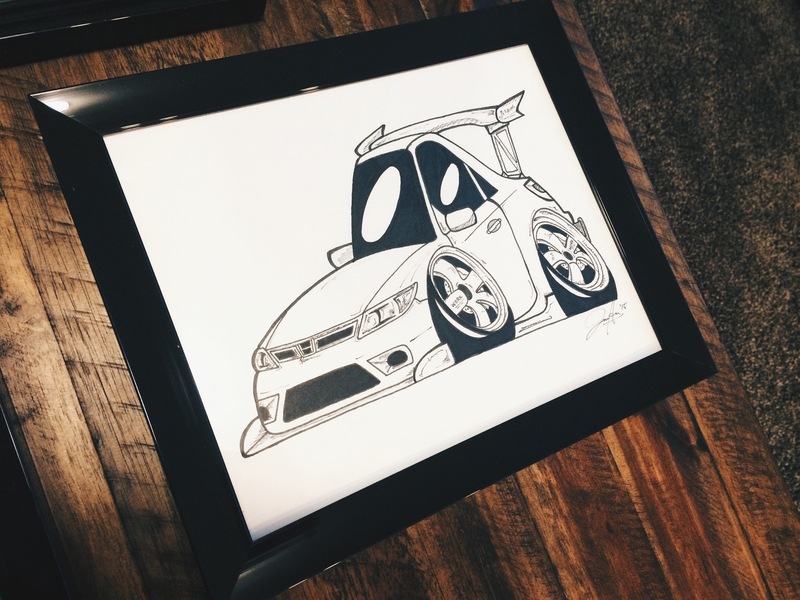 Diana has been obsessed with the Mindy Project lately and I hate just sitting on the couch doing nothing, so I’ve decided to pick up the pencil again and do some drawing for the garage. 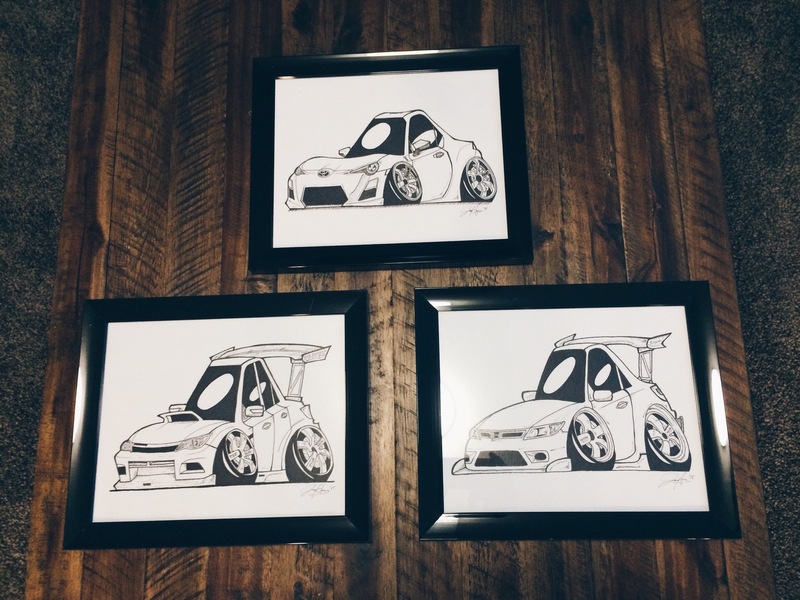 Over the last few days, I’ve finished up the last three cars (excluding the Lexus, because I already got that drawn out) and picked up some frames today to hang them up. 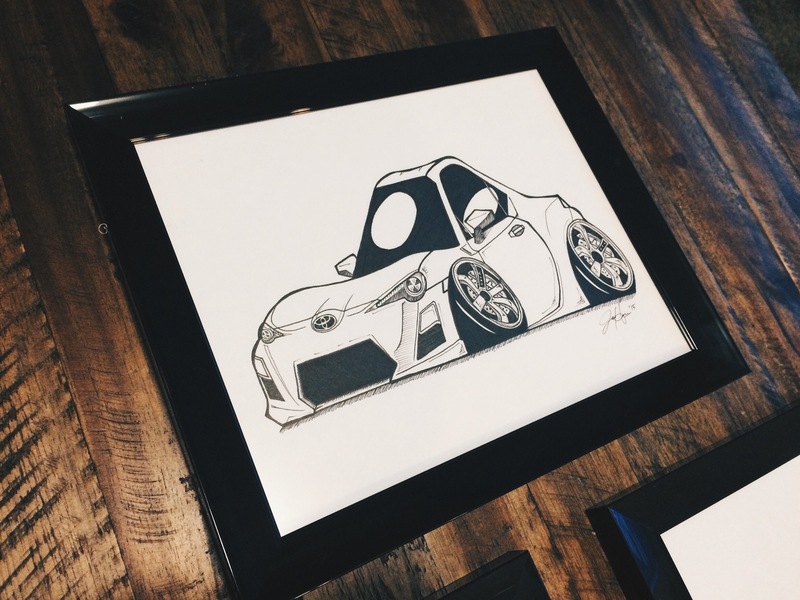 Everyone is really starting to hustle with getting their cars ready so it’s getting super exciting and I know everyone is really itching to start driving again… Probably a month left until we get the cars out! Anyway, as a post to show you I’m not dead, I just decided to take some snaps of the new art. I was also too lazy to grab my SLR so this is from my iPhone… Updates soon! I promise! The three musketeers. STI, FRS, Civic. And finally, a shot of the FRS. 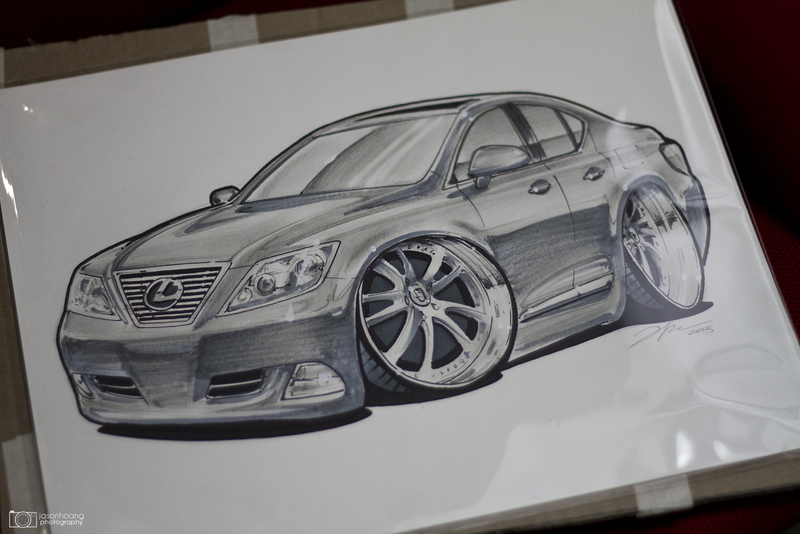 Wanted to give a shout out to Andrew Kerr at Eye Mechanics Studio for doing up an artbomb of the LS. I’ve been wanting one of these for as long as I can remember and I could never do it myself. 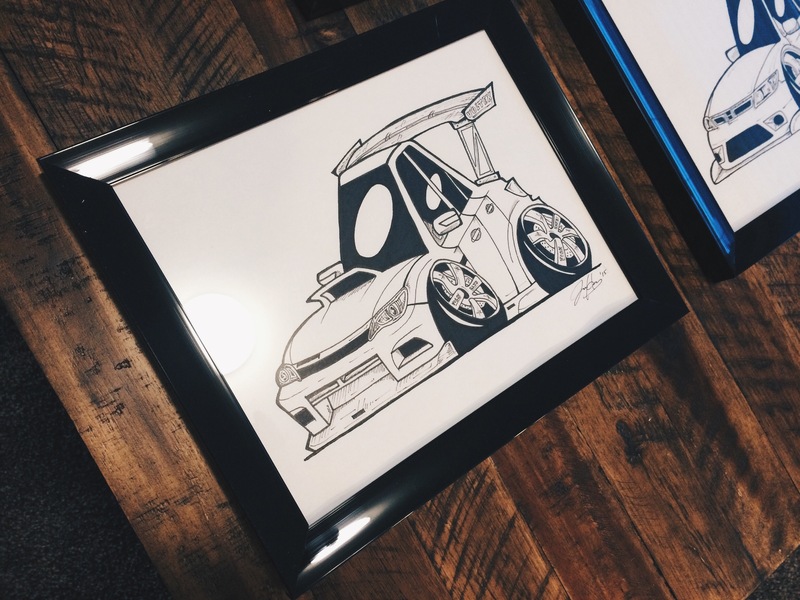 When I came across Andrew’s work, I knew right away I wanted him to do it for me. I’ll be getting the STI and the Civic done soon so I can hang. Such an awesome job.